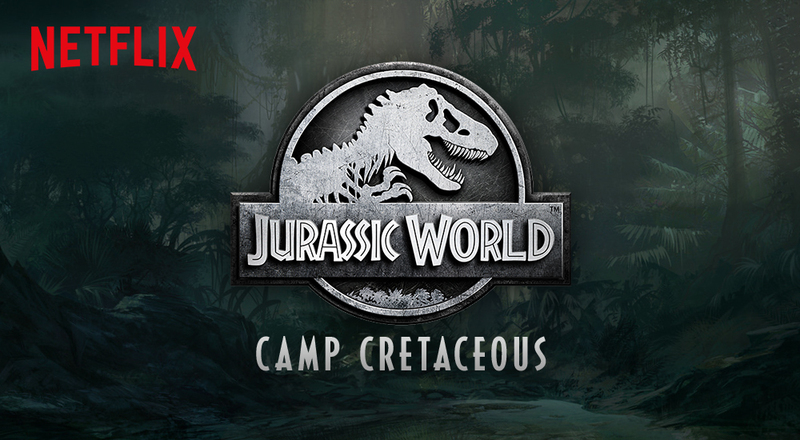 Jurassic World: Camp Cretaceous – Coming Soon to Netflix? When Universal trademarked Jurassic World: Camp Cretaceous last December, it was assumed that the Camp Cretaceous play-area in Universal’s Islands of Adventure theme park would be undergoing a rebrand. However the plot thickend last week when eagle-eyed Twitter users @nsjstuff and @derekzrncic briefly spotted the listing for Jurassic World: Camp Cretaceous on Netflix, which disappeared shortly thereafter. Nothing else is known about the mystery listing besides the show’s genre of ‘Sci-fi & Fantasy’, which could simply be placeholder content. There has since been enough speculation in the Jurassic community on what this show could be to fill the Mosasaurus Lagoon. Here on Collect Jurassic, you already know what we’re wondering: will there be toys to coincide with whatever Jurassic World: Camp Cretaceous is? It’s a safe bet that it isn’t another LEGO series, since we already know LEGO’s Jurassic World Legend of Isla Nublar is coming later this year. If the show indeed ends up being original non-LEGO content, can we expect Mattel to release toys in alignment with dinosaur and character designs featured in the show? To that end, Mattel’s Dino Rivals toyline is expected to carry through at least through 2019—could Camp Cretaceous be part of Mattel’s 2020 toy theme? At this point, there is certainly many unknowns about what this mystery Netflix show could mean for the Jurassic universe as whole. Naturally, we’re especially intrigued on what it could mean for toys and collectibles. We will keep Collect Jurassic updated with any relevant Jurassic World: Camp Cretaceous developments, but if you’re looking for further information in the meantime head over to the excellent article by Jurassic Outpost. My initial thought when I saw this was a new JW animated series, one that’s meant to be more serious and possibly canonical with the live-action films, which I’d love to see. No doubt we’d see a new toyline to accompany an animated series if it ends up happening. I would love to see this if it was put on Netflix!